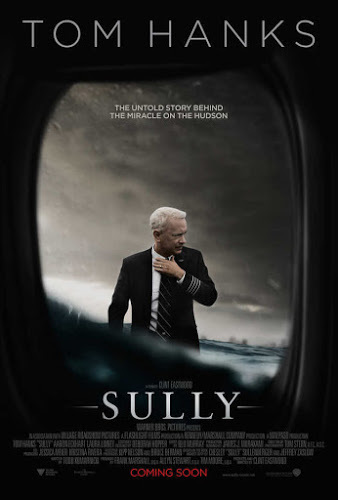 Sully is an upcoming 2016 American biographical drama film directed and co-produced by Clint Eastwood and written by Todd Komarnicki, about the US Airways Flight 1549 and Chesley “Sully” Sullenberger, based on the autobiography Highest Duty by Sullenberger and Jeffrey Zaslow. The film stars Tom Hanks as Sullenberger, with Aaron Eckhart, Laura Linney, Anna Gunn, Autumn Reeser, Holt McCallany, Jamey Sheridan, and Jerry Ferrara. Sully is due for release on 9th September. Synopsis- On January 15, 2009, the world witnessed the “Miracle on the Hudson” when Captain “Sully” Sullenberger glided his disabled plane onto the frigid waters of the Hudson River, saving the lives of all 155 aboard. However, even as Sully was being heralded by the public and the media for his unprecedented feat of aviation skill, an investigation was unfolding that threatened to destroy his reputation and his career. ← Sumitra Bhave-Sunil Sukhtankar: Finest Marathi Filmmakers Around!